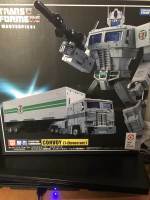 Thanks to our very own 2005 Boards member Gamerlingual, and Twitter users @Alfes2010 and @pcwr_Etchy we have some great in-hand images of the newest Masterpiece release: MP 711 Masterpiece Convoy 7-11 Version. 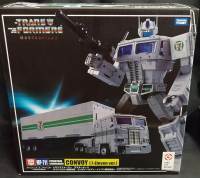 This is a special redeco of popular MP-10 Convoy/Optimus Prime mold, available exclusively from Japanese 7-11 stores. 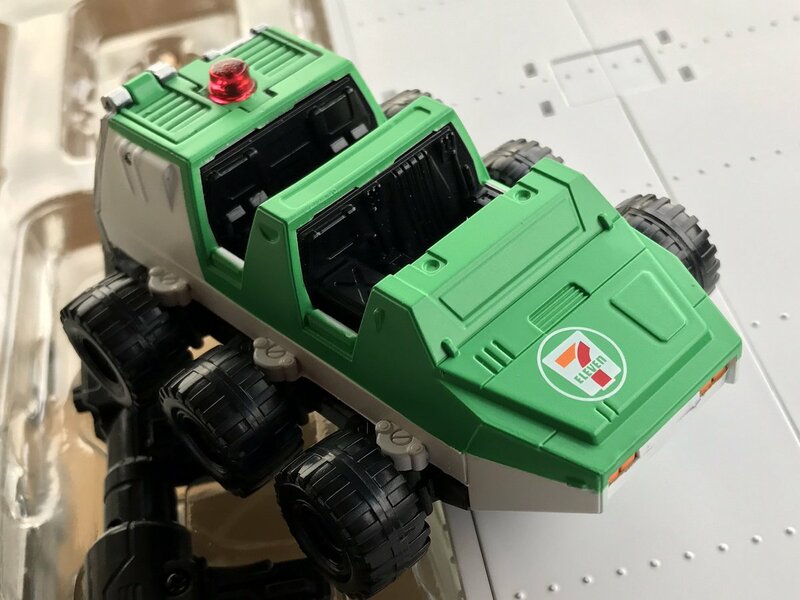 MP-711 shows white, green and blue colors (characteristic of the store) and 7-Eleven logos. 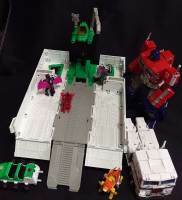 Even all the extra accessories, trailer, Roller and Spike come with the 7-11 colors and logo, too. 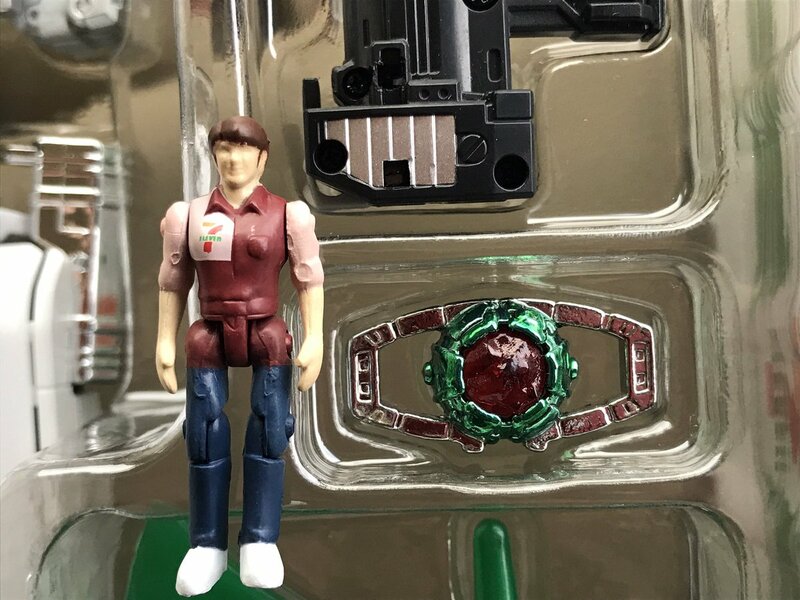 Spike’s deco is similar to the 7-11’s uniforms. This is one of those special Japanese editions that you may love or ignore, but it will be a rare and expensive item to find after some time. You can check out the mirrored images after the jump and then sound off at the 2005 Boards! 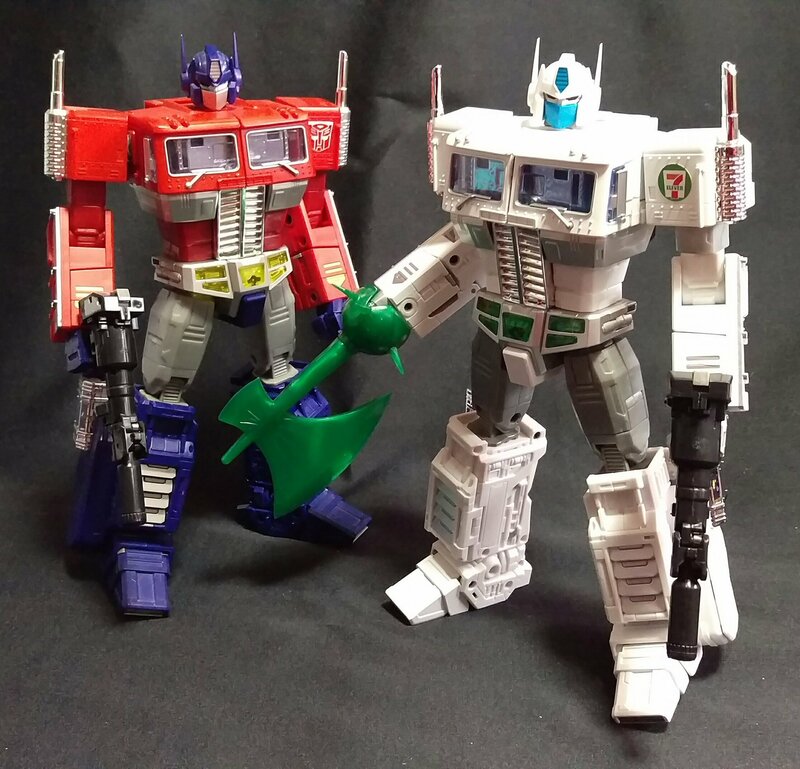 After seeing them next to each other again, still prefer the proportions of the original mp1. And the single like was from me, haha! 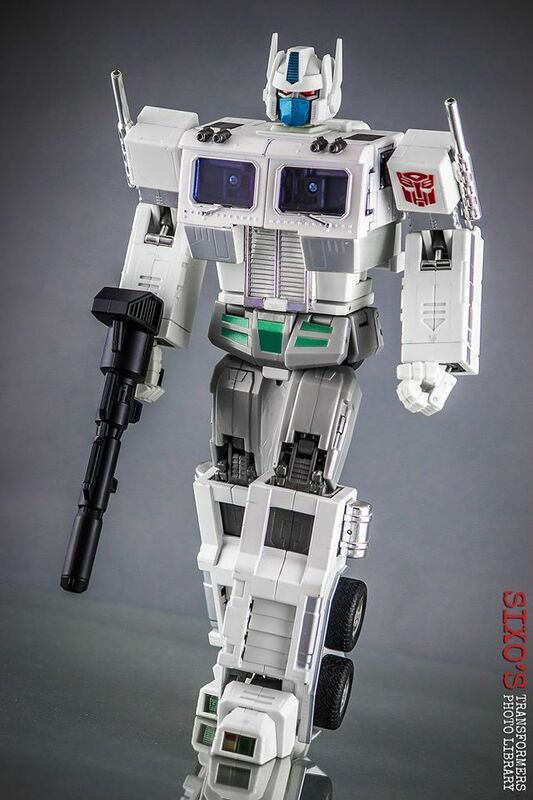 Anyway, no, MP-711 feels just fine to me. Very tight joints, no noticeable mould degradation. 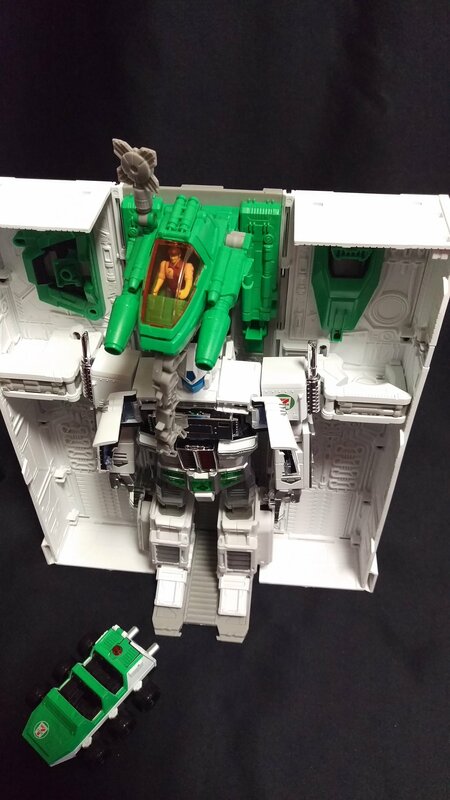 The only problem I have is one of the chest doors not closing completely flush, but that happens on and off with other versions too. 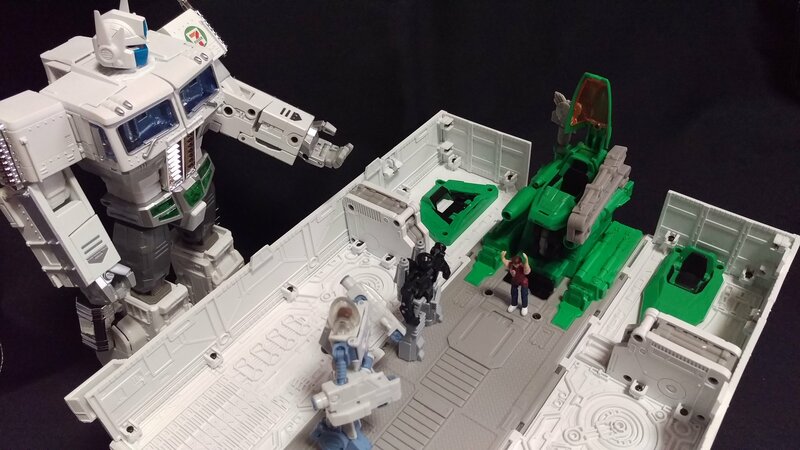 Overall 711 is definitely at the higher end of the MP-10 quality scale (just beneath the BAPEs, which remain the absolute top drawer example of this mould). Sounds like a nice release. 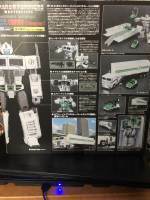 I know TT wouldn't find it cost-effective, but wouldn't it be amazing if Hasui's designs for Ultra Magnus were somehow 'leaked' so that people could 3D print them, or a 3P could make them. That is if Hasui ever actually finished those plans! 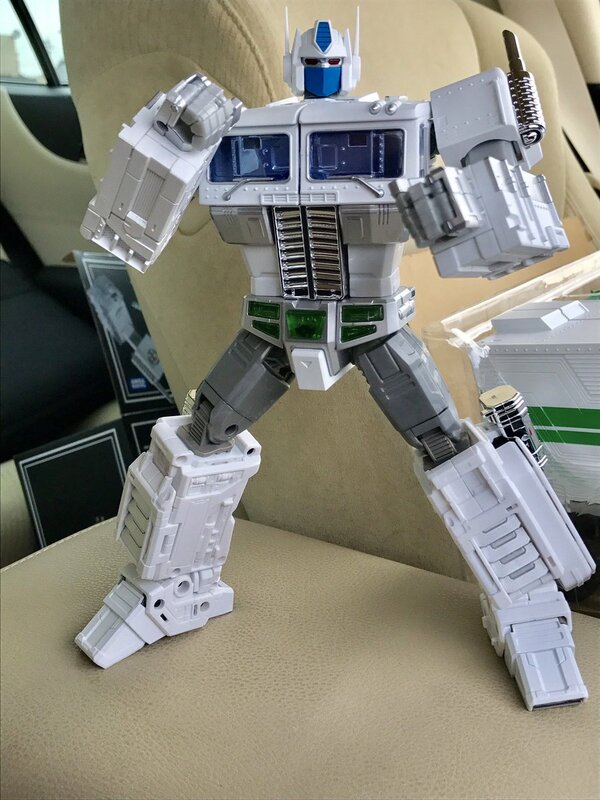 Not a cartoon accurate transformation, but it certainly would have made for a very special MP. 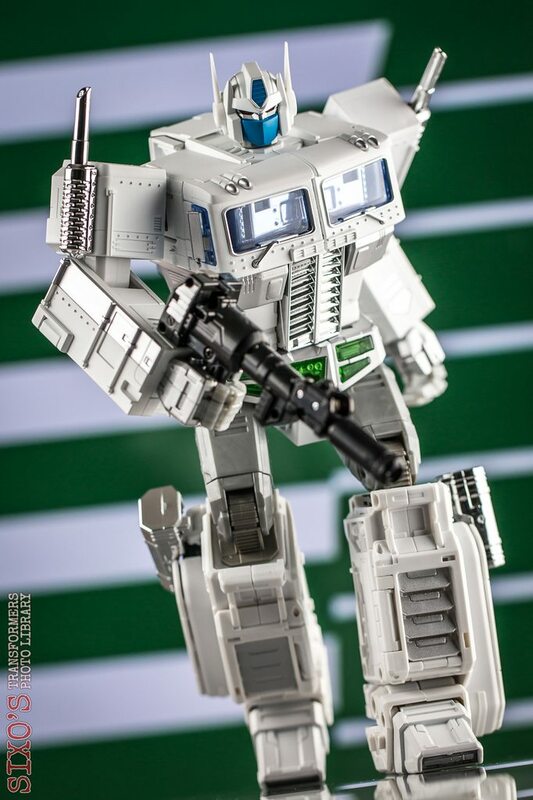 Disappointed MP-2 only has a single like – he's my favourite between the two! 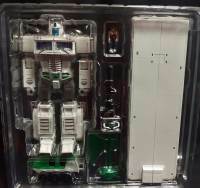 I think the white look is the best for that mould. Curious how this latest version of MP-10 feels in hand, does it in any way feel like the mould is wearing away? I remember the surface details on Hasbro's last version of MP Grimlock looked a lot less defined, and a lot of complaints of looseness. Haha, thanks, Sam! Funny seeing them presented like that. The real question is, who wore it better? 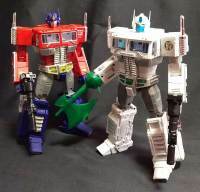 Not to mention the original G1 Ultra Magnus. 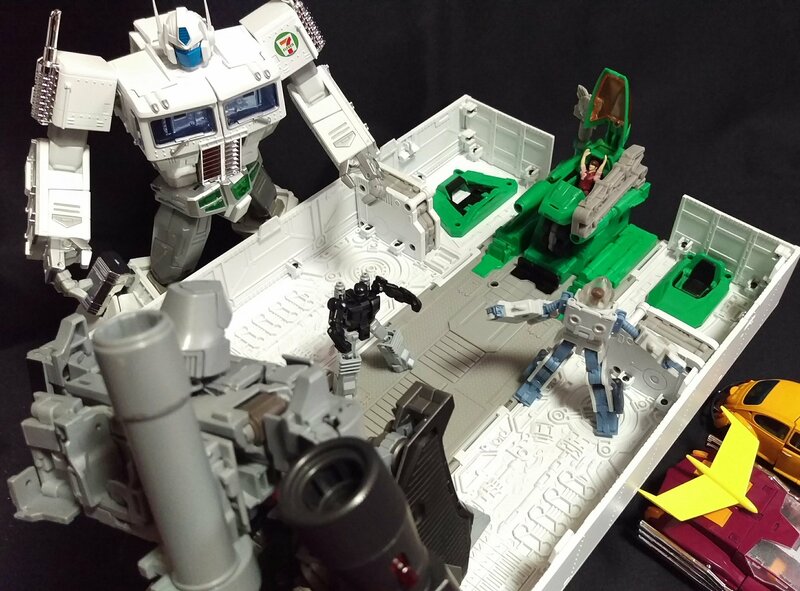 slowly learning new things everyday to better appreciate G1 and the movie-verse. This forum is a great tool. I kinda don't want it to become a high value item. Weird, I know, but if it becomes a high value item I'll feel obliged to sell it. If it retains it's value or even loses value then I'll be happier opening and playing with it. I want to have me a little convoy of convoys! Yeah, I feel the same way. 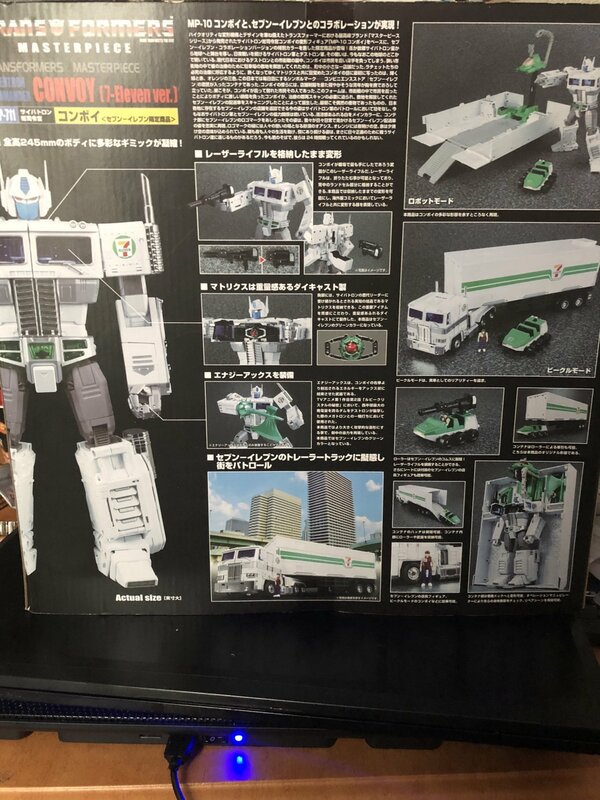 I'm not into BAPE repaints of MP-10 and personally don't see the appeal of them (my wife, who's more knowledgeable about fashion stuff, assures me that BAPE is a high end "urban" fashion line here in Japan) but holy hell are they overpriced and expensive. Luckily, I'm not into Evangelion either (talk about an overrated anime series), and the prices on Evangelion colored MP-10 are insane. 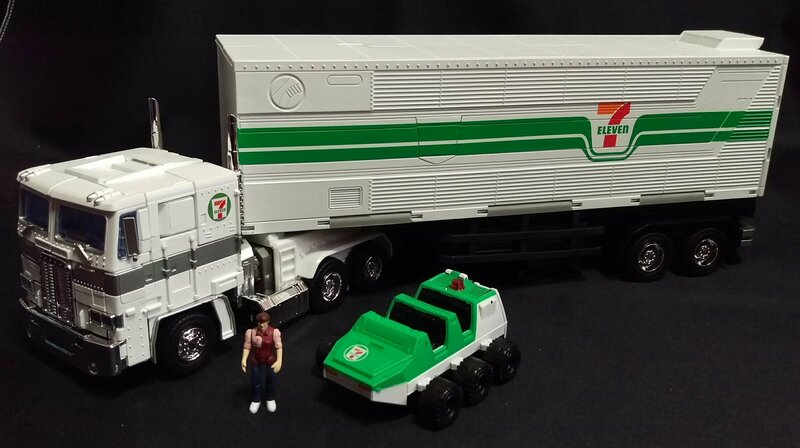 I kinda like and hope that this 7-Eleven niche figure is just quirky rather than overly rare and expensive. I haven't even opened mine yet though the box is a little dinged up so I wouldn't mind opening it eventually. Anyone else think this will be a collectors item? 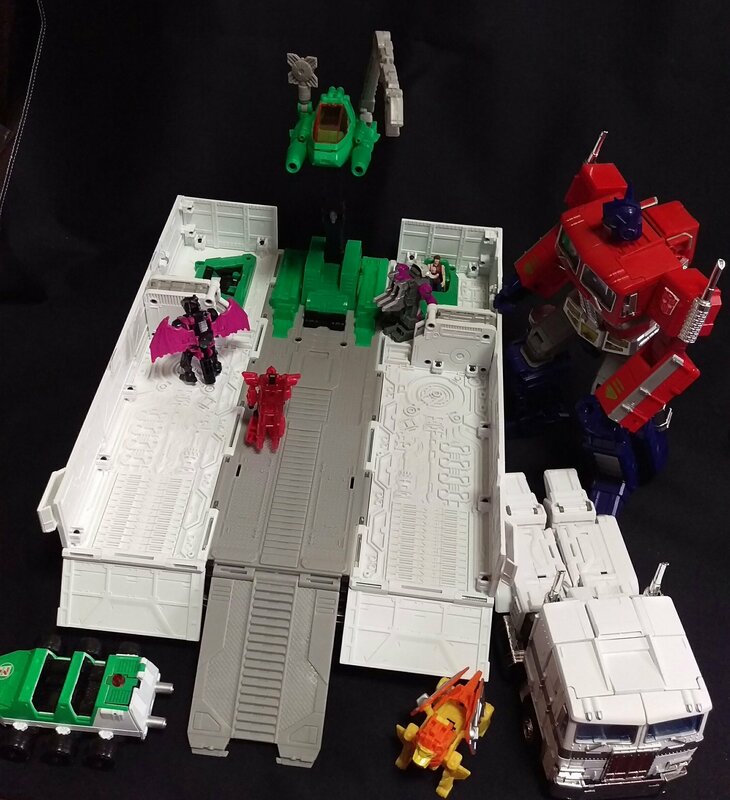 Glad I could ne this set. Love the paint scheme. 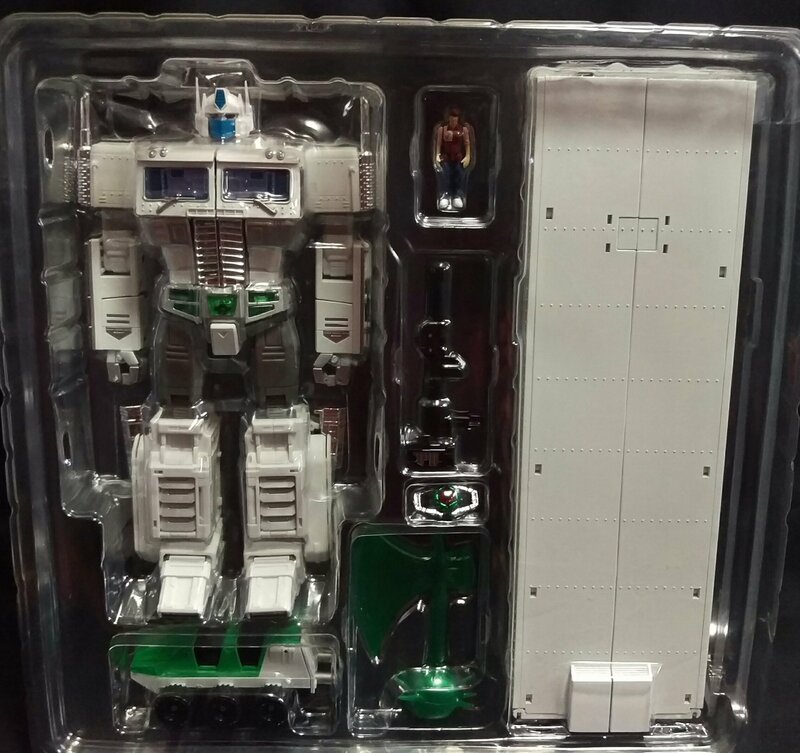 Anyone else think this will be a collectors item? Glad I could get this set. Love the paint scheme. And whats up with that ugly blue face shield. 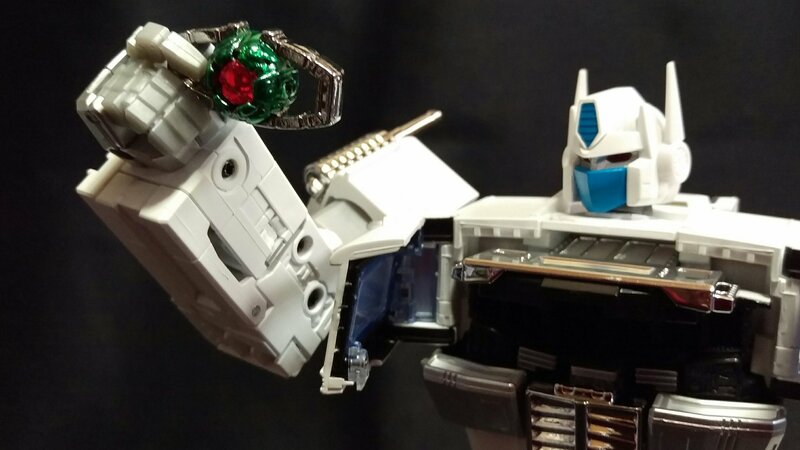 The blue face mask is accurate to white Optimus Prime repaints like MP-2 Ultra Magnus, Classics Ultra Magnus (at least one version is – the Takara one, I believe), and Revoltech Ultra Magnus. i guess 7-11 is weird to me because I can't even think of the last 7-11 I've been in. Mostly Sheetz and AC&T where I live. 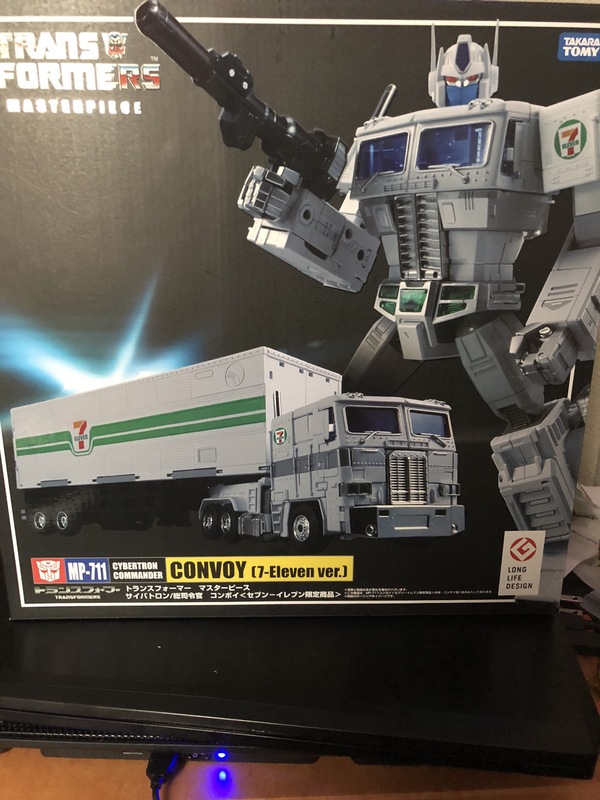 I don\'t see the appeal of this one.. sure white prime and all… but 7-11? And whats up with that ugly blue face shield.